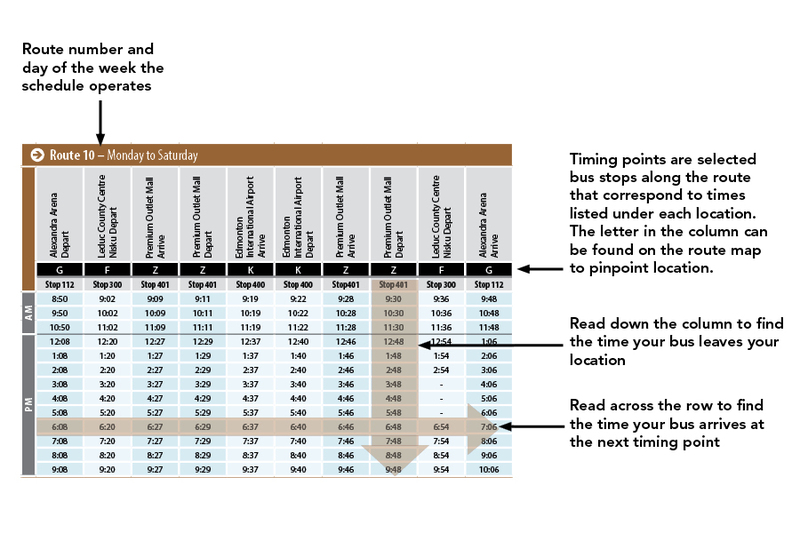 All route maps have been updated as of May 1. Please refresh your browser to ensure that you are downloading the most recent version. Leduc Transit has six routes, allowing you to get to Edmonton, Nisku, the airport, the Premium Outlet Collection and around Leduc. 10 Leduc-Nisku-Premium Outlet Collection-Edmonton International Airport 8:50 a.m. - 10:06 p.m. 8:50 a.m. - 10:06 p.m. 9:50 a.m. - 8:06 p.m.
Click on the diagram to enlarge it. The Park 'n Ride lots offer free parking for Leduc Transit users. Please know the lots are available on a first-come basis, and stalls cannot be reserved. Copyright © 2019, City of Leduc and Leduc County. All rights reserved.